Deeptime combines useful, beautiful and unique. We create objects that find their roots in nature. Studying organic and geometric forms of nature, searching for a way to give expression to these forms in product design. Deeptime implements functions found in nature rather than just imitating biological structures. Our vision is inspired by a combination of biomimetics, design engineering and applied science. Bringing these three worlds together results in meaningful elegant design solutions, which have been seamlessly engineered by nature. Whatever we are going to design, we will follow these principles. The objects in your life are more than mere material possession. virtual & physical prototyping, design engineering and natural sciences. When getting some air, he likes long-distance hiking, camping and exploring quiet places. Has a Doctoral degree in Design Engineering. A compulsive perfectionist with a refined taste for design and Moravian wine. Deeply obsessed with design visioneering, blessed with tech trends prediction power. Big fan of indie movies, black leather jackets and fine-art. Has a Master’s Degree in Management, Economics and Design. Our team has a vast experience developing and prototyping various design products ranging from loudspeaker, electronic appliances, bespoke car accessories to high-niche sports cars. Deeptime implements design expertise and know-how gained from renowned companies, such as McLaren, Aston Martin and Skoda, to deliver premium quality and top-class aesthetics. Our knowledge of how to achieve an authentic sound reproduction is based on five-year research and development within the audio industry. 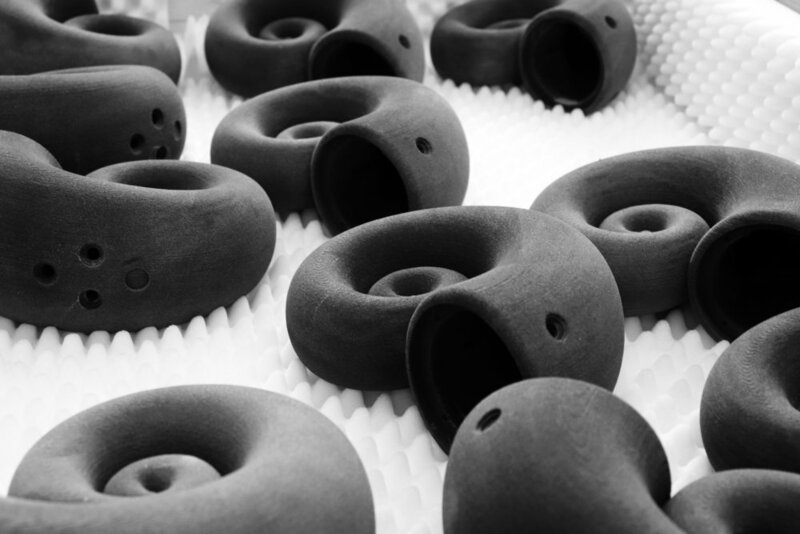 The hardening process of 3D printed speaker cabinets and manual product assembly takes place in Deeptime premises in Bustehrad, Czechia. The build process has been designed with the aim to ensure that the completed audio system is of the highest quality and that all safety and performance requirements are met. Apart from the speaker drivers, all the electronics are sourced locally to oversee our supply chain. Each device is tested prior to shipping and signed by our audio engineer. Deeptime s.r.o was formed in April 2018 but began actively developing the speakers in early 2014 under the former Akemake brand. 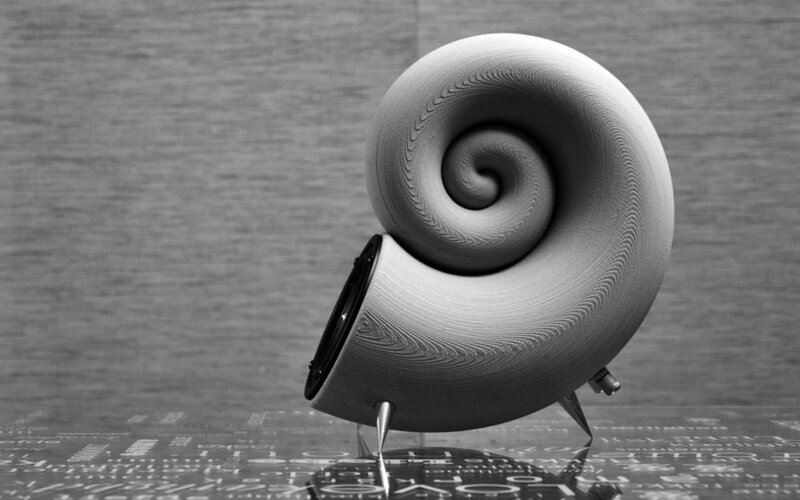 Following a successful exposure of the initial wooden Spirula speaker prototypes in 2014 and the positive feedback, the founders realised the potential of the concept and started working on a production version. Since 2014, the company has re-branded to Deeptime and relocated from the United Kingdom into premises in Bushtehrad, Czech Republic, transformed the original concept into a real lifestyle audio system. 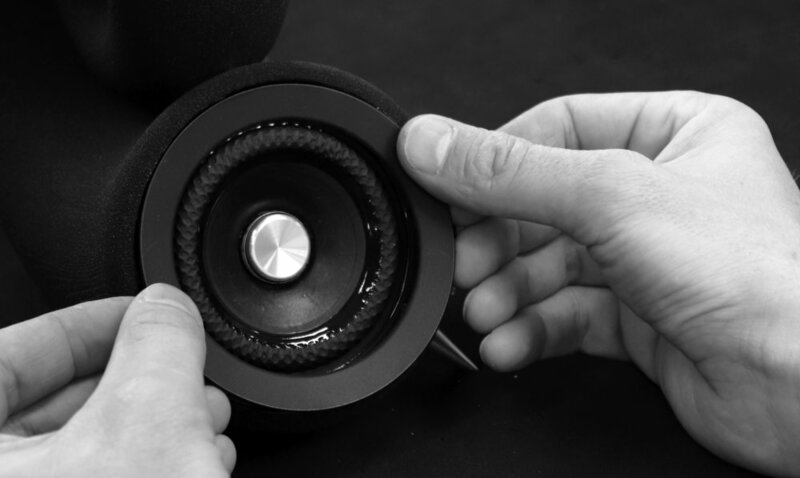 Over the years, Deeptime manufactured over fifty different speaker prototypes to validate the acoustic performance, hardening and assembly process. Deeptime is the scientific concept of geologic time. Deeptime is Earth’s history. Deeptime is rivers, rocks, deserts, tectonic plates. Deeptime is sand particles. Deeptime is prehistoric fossils. Deeptime is the unseen secrets of nature. Deeptime is an inspiration and guide for our own effective functioning as individuals and as a species. Deeptime is your lonely zone. Deeptime is your emotional state when you are quietly listening to your music. Deeptime embraces thinking. Deeptime is the practice of using guided meditation to visualise one's ancestors and descendants. Deeptime is the experience of unusual freedom within unawareness of time, known as the flow state.